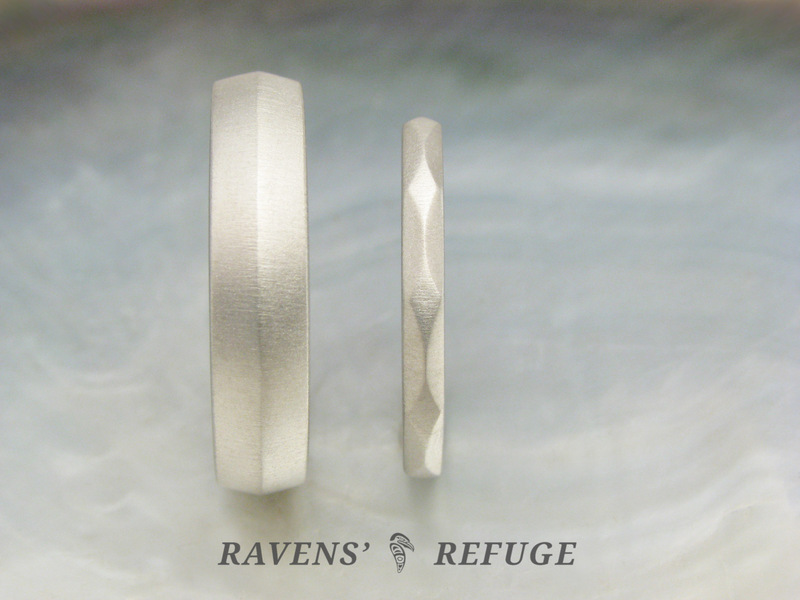 These wedding bands, his and hers, include a comfort fit knife edge wedding band that is 5mm wide and 2mm thick; as well as a 2mm x 1.75mm faceted band. 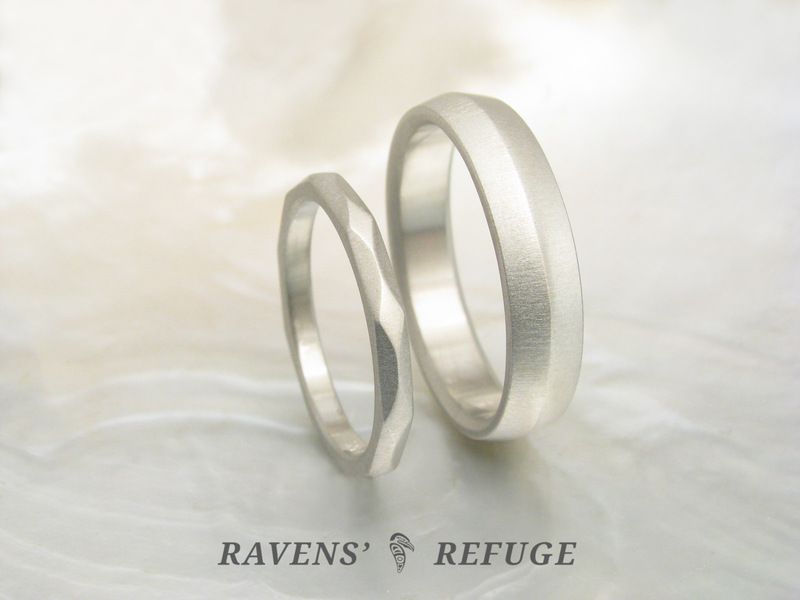 The bands in this set will be formed from the same ingot of gold, and so the symbols of your devotion to one another will be created from the same source! 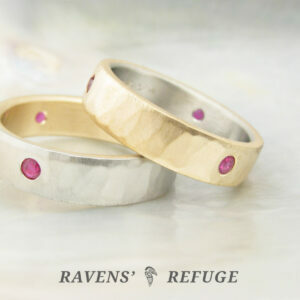 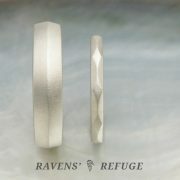 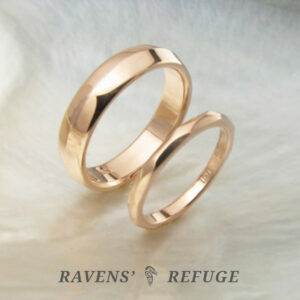 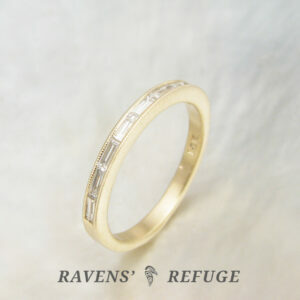 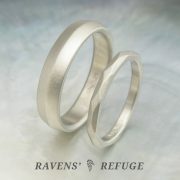 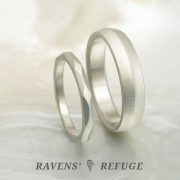 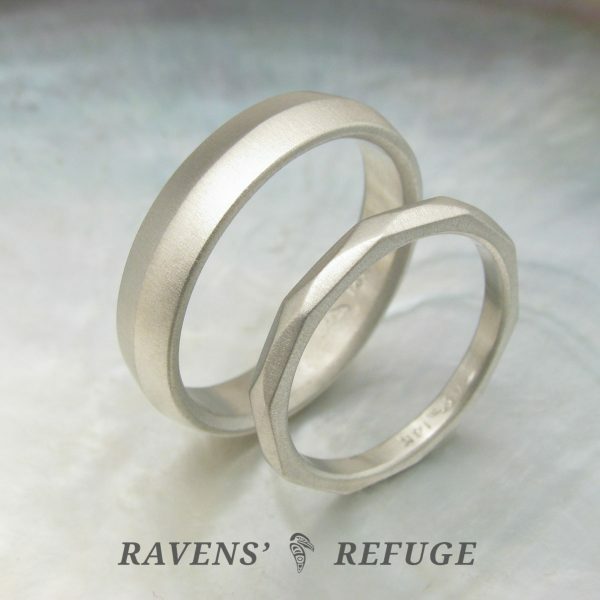 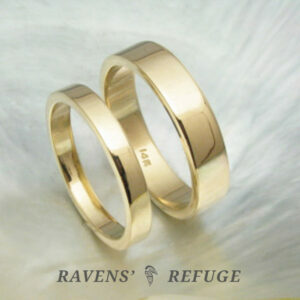 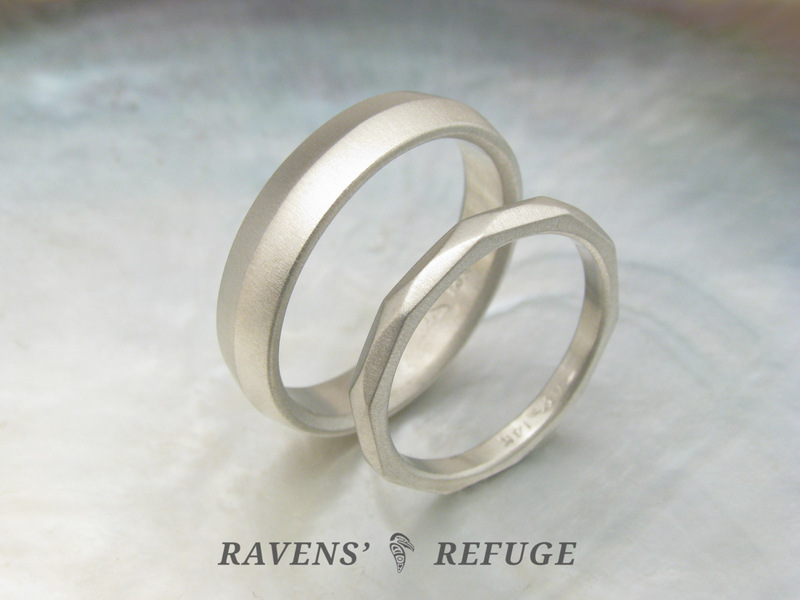 Dan has will make these rings just for you in the centuries-old tradition of goldsmithing. 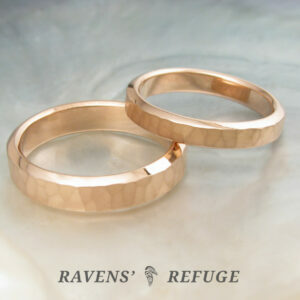 See a different version of a faceted set here. 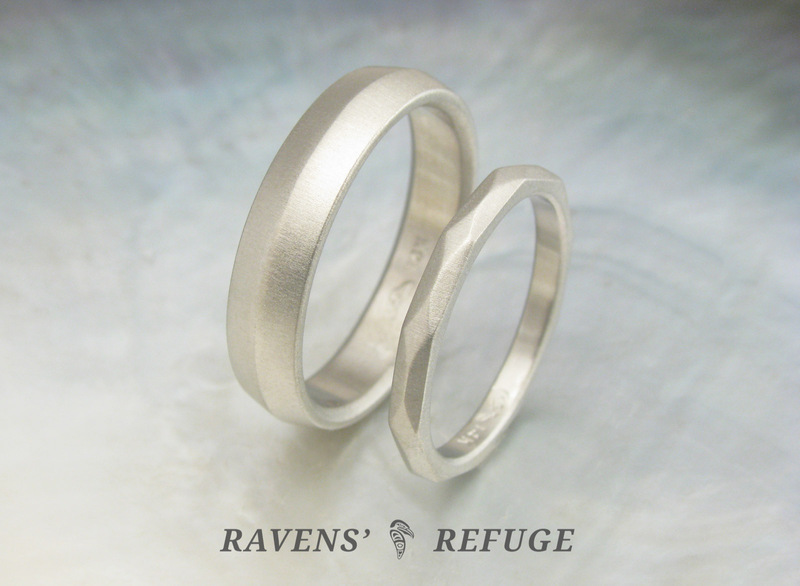 Learn more about sizing here.